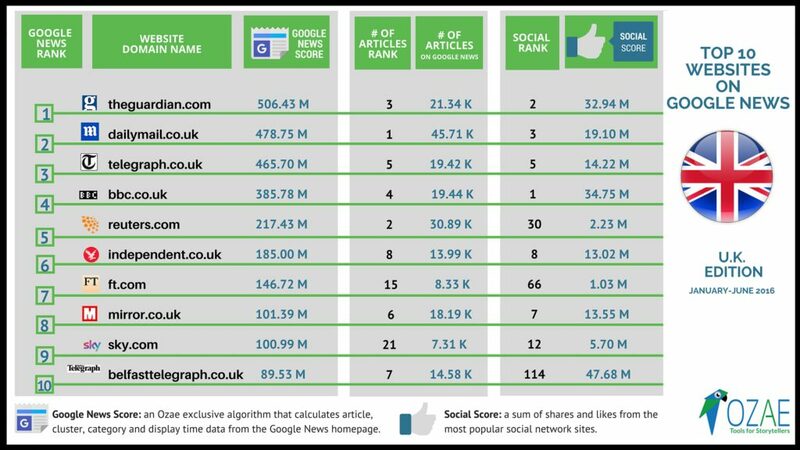 What are the top websites on Google News? 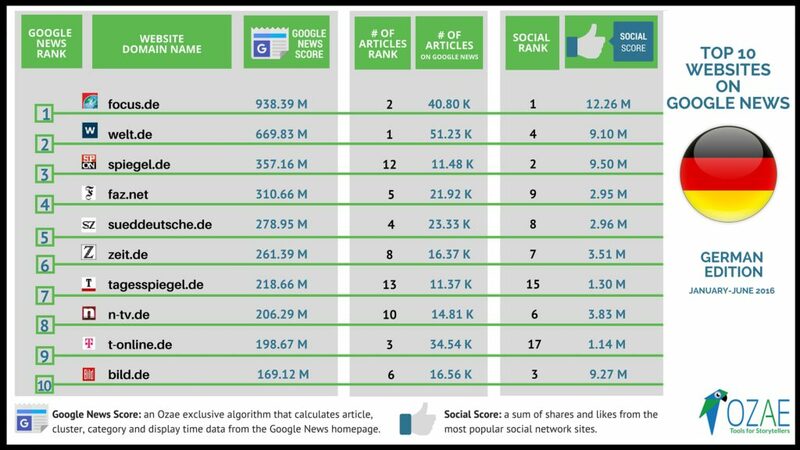 Time flies and at the half year mark the team at Ozae decided to do some research on the top websites indexed on Google News. 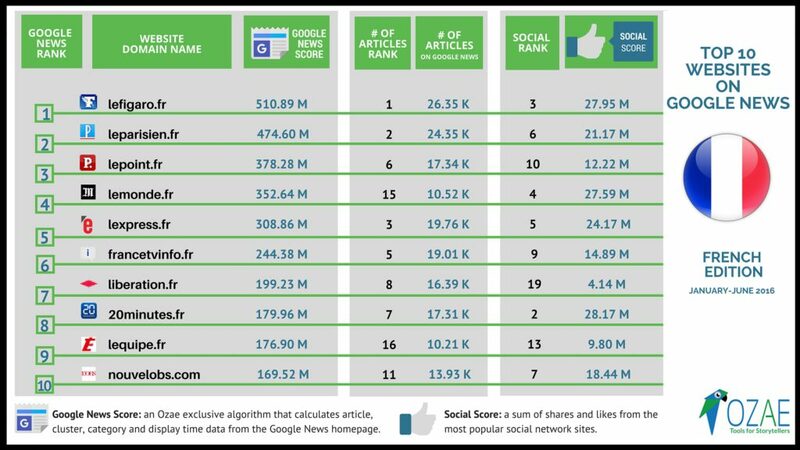 Using our “Top Sources” feature we were able to identify the best performing websites for each of the editions available on our platform (US New York, US San Francisco, UK England, Italy, Germany and France). 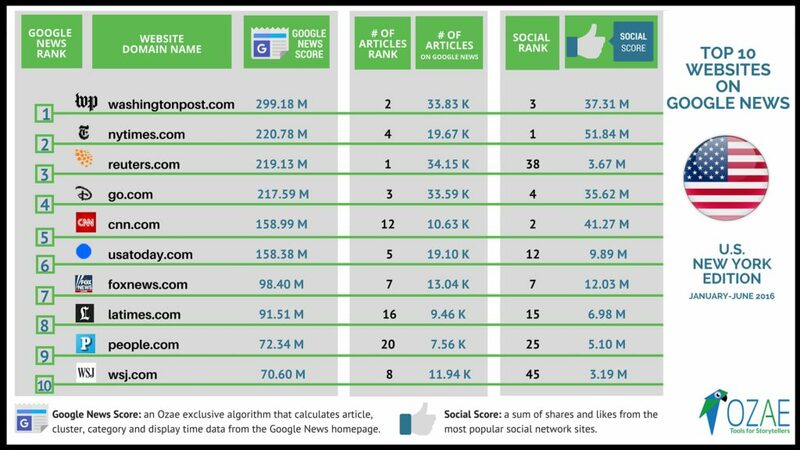 Did your website make it into the top 10? Let us know in the comments below. OZAE is a new platform of content marketing tools. 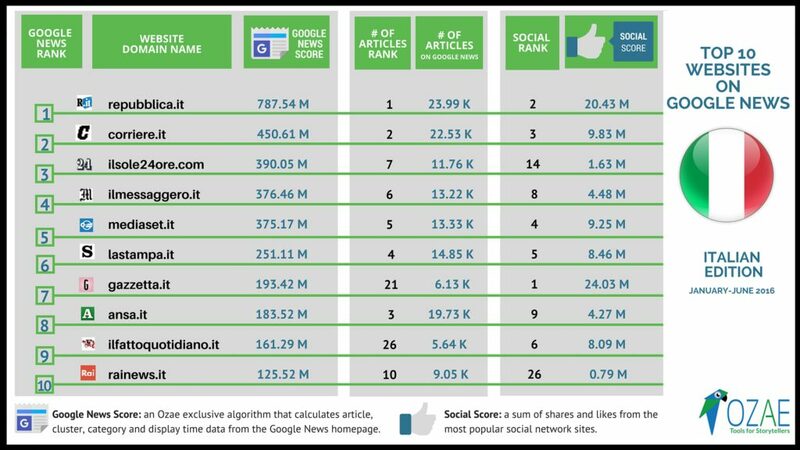 Our objective is to make smart data available for editorial teams working in digital media and publishing. Start your 15 day trial with unlimited access to all the features and reports. Try Ozae for Free Now!